Being a California-based sculpture and design studio we are constantly surrounded by mid century modernism and its influences. Many of our sculptures are placed in treasured buildings from this nostalgic era—where connecting the indoor space to the outdoor environment creates a certain harmony throughout the home. 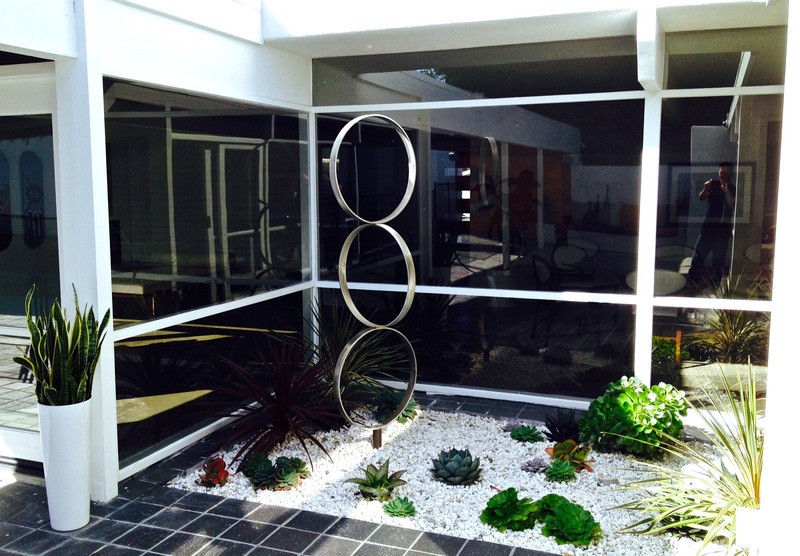 When we received an inquiry for a commission of our three-ringed, stainless steel modernist sculpture Sisters, we had no idea that it would be placed in this stunning minimalist garden, the centerpiece of an extraordinary mid century modern home in Newport Beach, California. Sisters sculpture, Weber residence, Newport Beach, California. California architecture, art and design was forever changed thanks to Midcentury Modernism. More than 50 years after this style benchmark we are still impacted by its design ethos, which plays heavily on what most would define as the California lifestyle. Expansive multi-room living spaces, clean-lined clerestory windows, and seamless indoor/outdoor transitions typify some of the founding elements. Smith Residence, Erickson/Massey architects. Photo by Mike Bernard courtesy Coast Modern film. 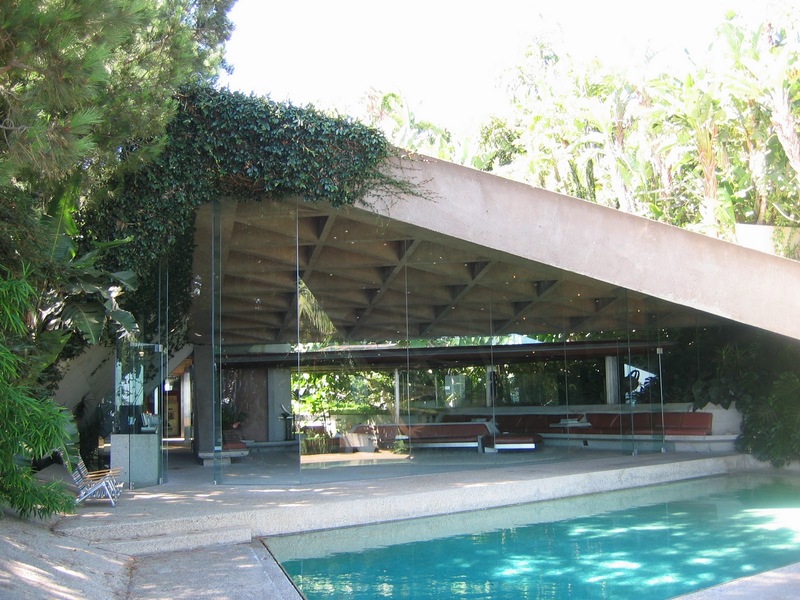 Much of the architectural landscape in California changed when Joseph Eichler and A. Quincy Jones descended on middle-income enclaves, bridging the gap between Northern California architecture and Southern California architecture and blurring the lines between private and public spaces. John Lautner, a Frank Lloyd Wright prodigy, also designed residences that capitalized on vistas and expansive views. Sheats Goldstein residence, Los Angeles, California, John Lautner architect. Our client’s 1966 Newport Beach home was designed by Arthur Erickson (1924-2009), one of Canada’s most celebrated modern architects. The homeowner Mark Weber wanted to surprise his wife Laura for their anniversary with the gift of sculpture. Mark asked us if we could create Sisters and have it ready to surprise Laura within a week. Weber residence, Newport Beach, California. Arthur Erickson architect. Erickson was a proponent of concrete, metal, and expansive use of glass utilizing the surrounding nature often with water views. 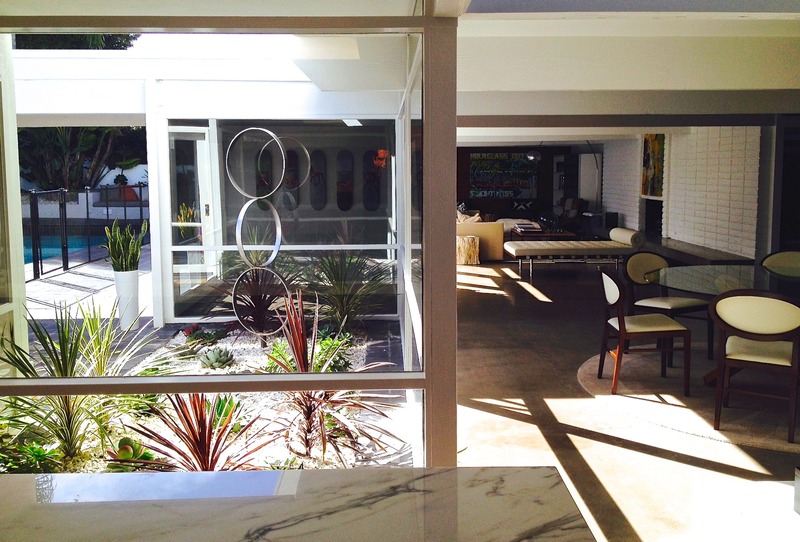 We were thrilled to have the sculpture reside within view of the home’s interior. We love how it alters the space with its expressive 6-foot abstract form, juxtaposing the home’s classic angular lines with the softness of the rings. 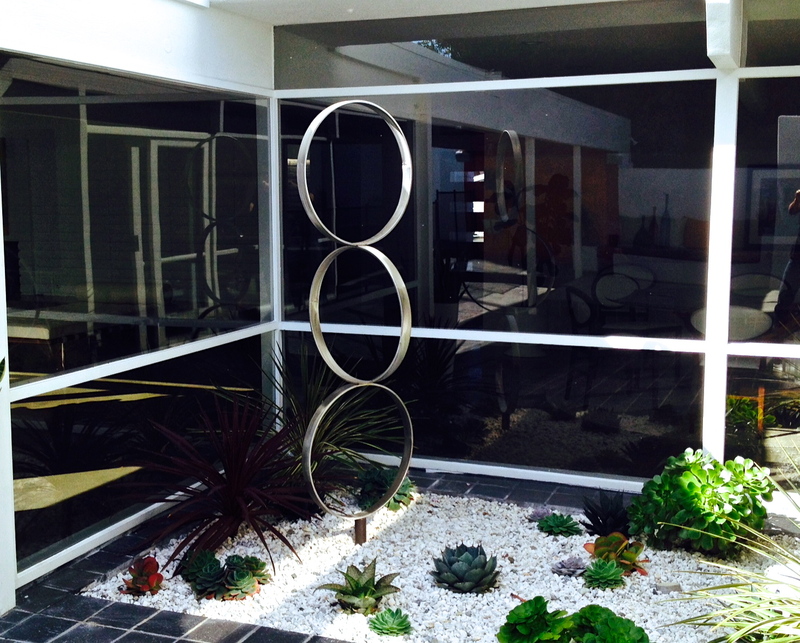 We also love how the shapes of the smaller succulents mimic the spherical shapes of the sculpture. 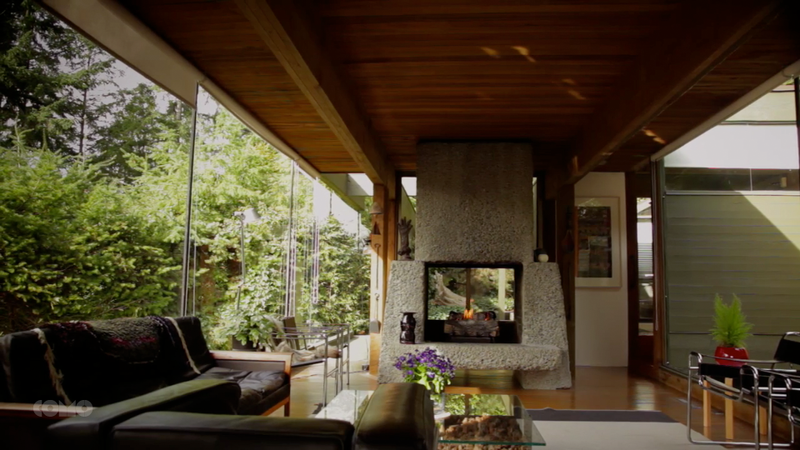 To learn more about mid century modern architecture, we recommend a beautiful documentary Coast Modern. The film showcases the pioneers of West Coast Modernist Architecture, including Erickson, who designed spaces with a “sense of place, light and a deep connection to the earth.” This stunning and captivating film, directed by Mike Bernard and Gavin Frome, is screening at film festivals around the country and is also available on Itunes and Amazon. Artist Jennifer Gilbert Asher was born the middle child in a family of three sisters. When she conceptualized Sisters sculpture she reflected on how she fits in to her own family unit. The rings suggest the supportive and interdependent relationship between the women in her family. Each sphere facing a different direction, yet still strengthening and supporting one another. There’s no doubt that nostalgia played a role in her design, just as fans of the Midcentury Modern design movement continue to flock to the era’s nostalgic homes, furniture and works of art.